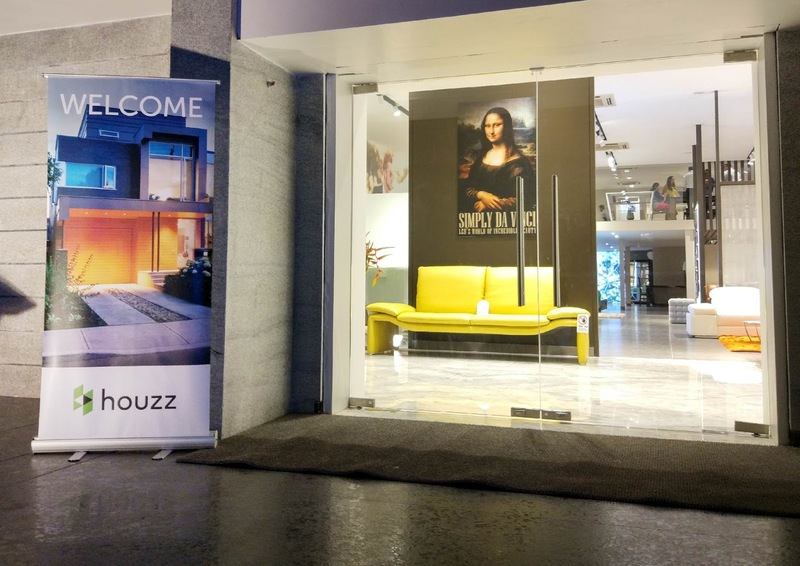 Houzz.com—a global platform for homeowners, architects, and designers to connect and share ideas—partnered with us to host an Open Houzz event at our showroom in Bangalore. Prominent architects, photographers, and interior designers gathered for a great evening of insights into design and artistic techniques. 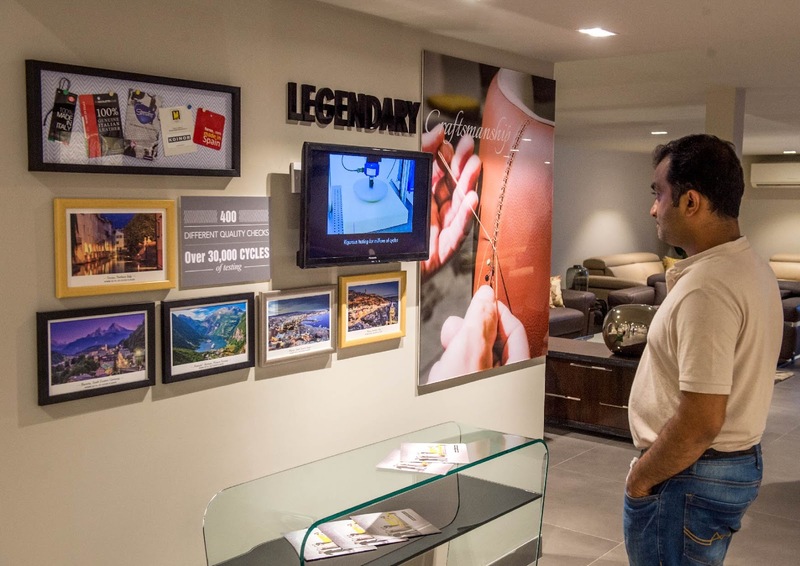 The evening began with a flourish as the guests entered our recently renovated showroom. 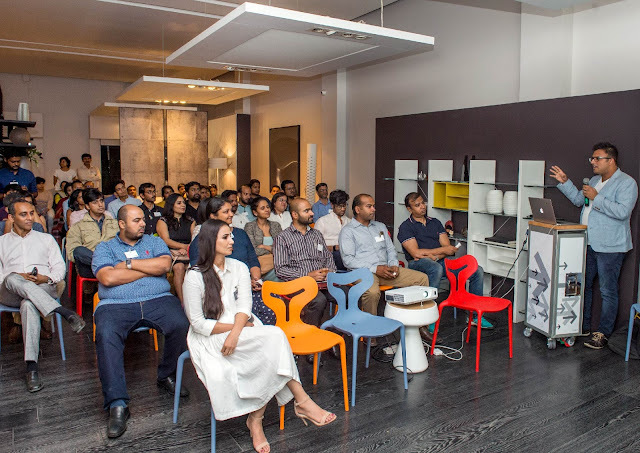 As the clock struck seven, the Houzz team introduced Houzz.in and described how designers can use it to connect with potential clients. Shamanth Patil, who specialises in architectural and interior photography, gave a talk on the importance of photography in capturing architecture. He also spoke about photographic techniques that architects can use to bring out the use of space, design, and colour. This included a focus on the important aspects of interior photography: composition, lighting and exposure, and post production. With a glass of wine in their hands, the guests made their way across our showroom and explored our latest Milan furniture collection. Of particular note was the Calligaris Omnia, a dining table which effortlessly transforms from a six-seater to an eight-seater. We found the opportunity to speak with one of the guests, also a prominent interior designer, who said, “We have widely used furniture from Simply Sofas for our clients, and most of the furniture in my parents’ house is from Simply Sofas”. Wine and cheese were served as the guests comfortably settled in our sofas to engage in friendly chatter.